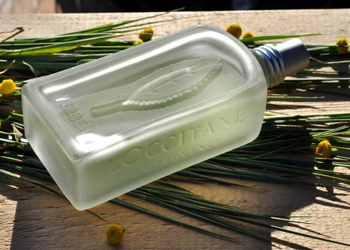 L'Occitane Verbena Harvest is formulated using a premium quality Verbena extract from Corsica. Verbena invigorates the body and mind while bringing relief from daily stress. The sparkling brightness of Verbena has been a long time favorite with L'Occitane customers, appreciated by both women and men. Verbena, also known as the "enchantment", "witch's" or "cure-all" herb, has an irresistible lemon-y fragrance. It is the magic plant par excellence. The lemon-y fragrance energizes and freshens the senses, helping to banish tiredness.